What is My Nurse Recruiter and why is it different? My Nurse Recruiter is Different than most of the places you have seen online simply because we do all the work for you. We take the headaches out of the nurse placement process. How? See below and find out why your next step should be with My Nurse Recruiter. My Nurse Recruiter understands that agencies are in a difficult position when it comes to the nurse staffing shortage. Their primary goal is to help hospitals fill those positions that they just can’t fill on their own. Agencies spend hours and dollars trying to find the right candidate to provide to your clients but we know that the costs of finding those nurses is growing. At My Nurse Recruiter, we are here to help. Sign up as a job source with us and we will submit our nurse profiles to you. Check your database and check with your clients. Stop wasting time just trying to find a nurse. We’ll provide the nurses to you and all you have to do is contact them when you have a match. That’s it! Our nurses will have the opportunity to get that perfect job and you have the opportunity to make that perfect placement. The best part is that without having to waste time listing your jobs, you can focus on helping your clients and nurses make the right match. 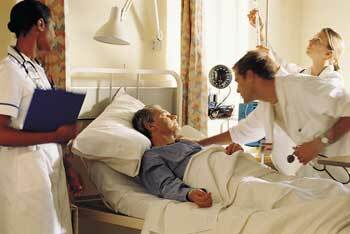 We know that staffing a hospital or nursing home is not easy. A nationwide nursing shortage makes recruitment of the right candidate difficult for any hospital. In addition, budget constraints at many hospitals just don’t allow for the necessary resources to have enough recruiters on hand to fill those positions you desperately need filled. At My Nurse Recruiter, we understand those difficulties and we can help. Simply sign up to be a source of jobs with us and that’s it! If you are interested, we can even place a banner right on our pages that will show your commitment to finding the right candidates. As our nurses submit their profiles, we will send matches directly to you. You now end up with candidates that meet your needs without all the leg work. The best part is that there aren’t any jobs that you need to list. We know that uploading jobs to job boards is a time consuming and annoying task. We eliminate that step for you. When a nurse completes a profile that matches your needs, we will send the profile directly to you. It doesn’t get any easier. Everyone wins with My Nurse Recruiter!